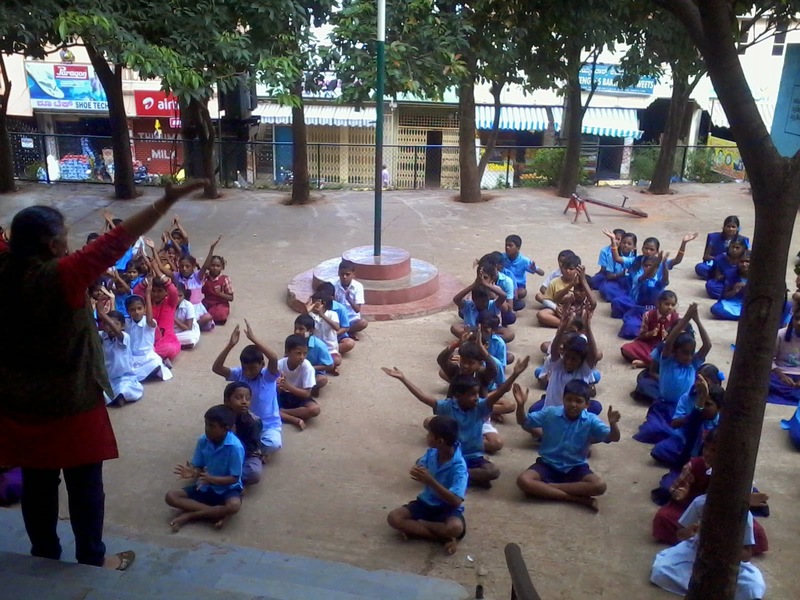 Mala Kumar shared her story of revisiting the school she visited for last year's storytelling session. Mala Kumar is a freelance journalist, storyteller, author and an editor at Pratham Books. She loves playing with children, and with words, preferably with both together. Many kids had already seen a bald-headed boy coming into school on September 6, and were eager to meet him. 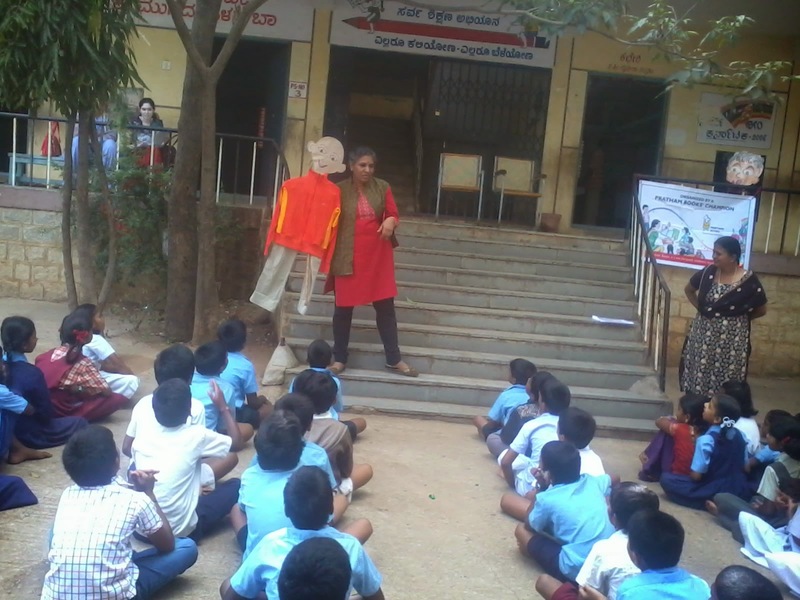 All the 250 students of Hosakerehalli Government Kannada Medium School settled down to not just meet the little guy, made out of cardboard, but also to listen to his story. The beauty of stories is that this little story for young children could engage the attention of students from classes 1 through 8. While the older students could read it in Kannada and English, the younger ones could recognise alphabets in the book. R-E-A-D, RED (as in colour) they spelt out aloud. I-N-D-I-A ...hmmm, India came a slow reply. How big was the pot? This big, shouted the kids! Where did the salt come from? From the sea, they said! And do we have a sea nearby? Yes, Hosekerehalli Lake, said one smart girl. Let's hope the child's imagination comes true and this encroached upon lake is soon restored to its natural glory, becoming a lake again if not a sea! Where is Paplu asked many children, who remembered the gentle giant from the previous year's ILD storytelling session. 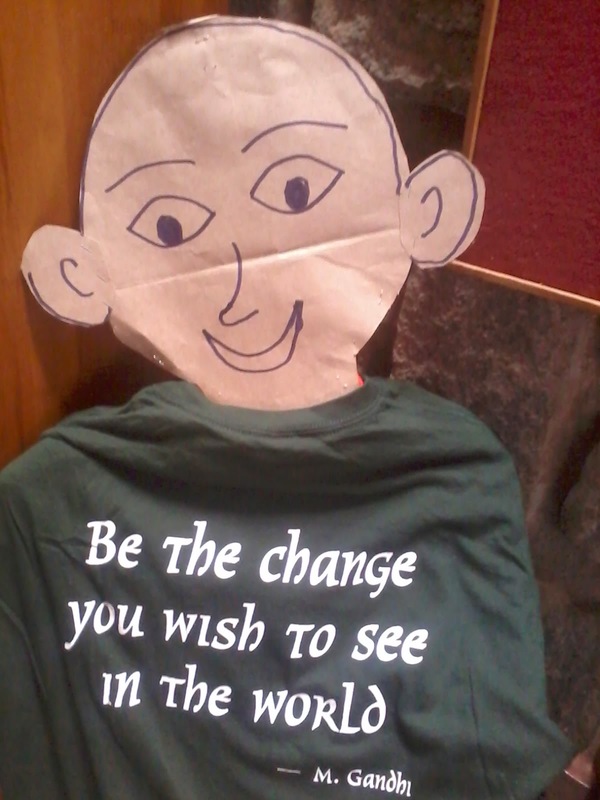 Paplu turned up promptly in a smart t-shirt, and after that, the students had fun being the voice of Takloo and Paplu. Half the assembly was Takloo and the other half was Paplu! The session soon became a translation game with Kannada and English lines being traded by the two teams. We'll read the books and tell you the story next time, said the students when I said I would leave the English and Kannada copies in their library. 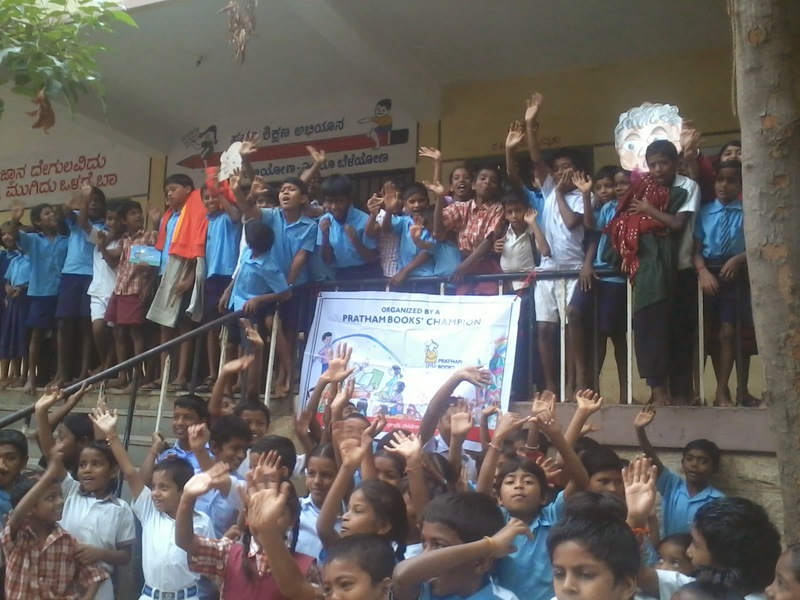 It was a cheerful way to celebrate the magic of books through the Pratham Books' One Day, One Story event, held two days before the actual International Literacy Day. Thank you Mala for spreading the joy of reading!